Ah, the holidays. Time for friends, family - and unbelievable deals on hotel rooms. Right? Black Friday - the day after Thanksgiving - has long signalled the 'official' start of the US Christmas shopping season. Over the last few years, Black Friday (and its companion Cyber Monday) has snowballed into a global spending phenomenon, with retailers across the world getting in on the action and kicking off major sales and promotions over the weekend. If you're planning to make the most of Black Friday/Cyber Monday with flash room sales or special promo codes, you'll want to make sure that you're advertising them in a way that stands out from the crowd. We've put together a lil' guide to the Black Friday weekend for hotels, as well as a how-to guide to setting up a great Message Porter campaign in a flash. Just here for the Message Porter guide? Jump straight down! A search for 'black friday hotel deals' brings up a veritable plethora of OTAs and metas desperate to take your guests' money on this most festive of weekends. Marriott, the only visible hotel brand, sneaks in down the bottom there, just above the fold of the page. However, what most of these ads fail to mention is that it's not really the OTAs who can offer the deals: it's you. 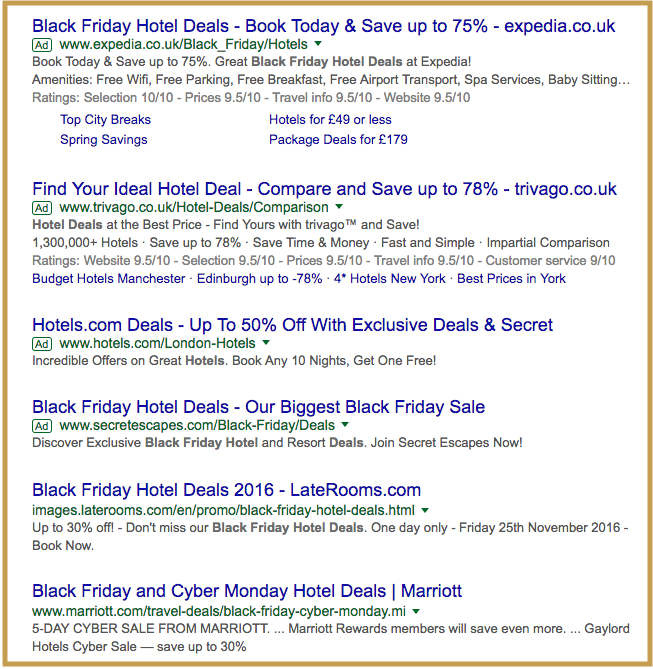 The copy of trivago's ad doesn't even mention particular Black Friday deals; they're simply bidding on the search term to capture the deal-hungry traffic. So, if you can offer curious guests a true, enticing discount, you'll stand out from the crowd of amorphous deals-that-aren't-really-deals-at-all. Added to that, the Black Friday/Cyber Monday long weekend is a great time to push low-occupancy dates instead of handing that inventory over to OTAs - prospective guests looking to pick up a good-value rate as an impulse buy are likely to be more flexible with dates than others. The holiday weekend is also a great way to encourage sign-ups to a loyalty scheme, if you have one. Closed-user-group pricing is a fantastic way to offer deals that don't get in the way of your parity agreements, while guests already looking for a deal are likely to be open to joining a scheme or sharing their email address in return for the best rates. Message Porter makes it easy to send relevant offers at the right time to exactly the right guests. Among our clients' most effective campaigns are those that highlight promos, flash sales and discounts - alongside those that emphasise the benefits of booking direct. 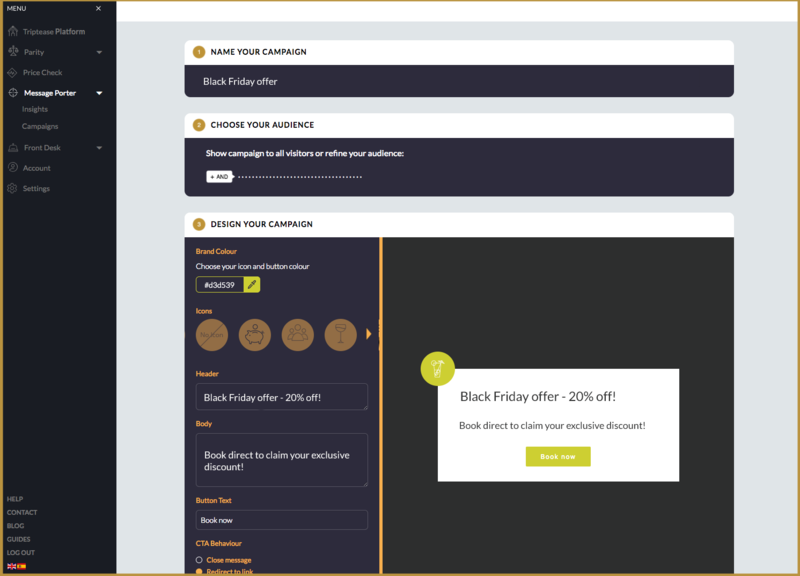 Here's a quick how-to for creating a dazzling Black Friday campaign with Message Porter. Head on over to the Direct Booking Platform and click Create Campaign. Choose your audience. Want to go wide? Show your offer to all visitors to your website. Prefer to zero in on a certain segment? Feel free to select specific attributes including hotel, check-in date, length of stay, URL, country and browser language. 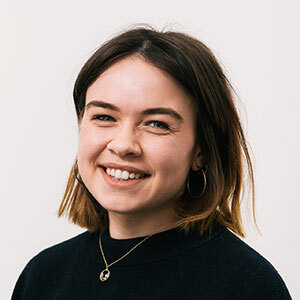 Black Friday is a pretty universally recognised term nowadays, but you could consider giving your promo a more generic name if you're targeting non-Americanised audiences. Style it up! 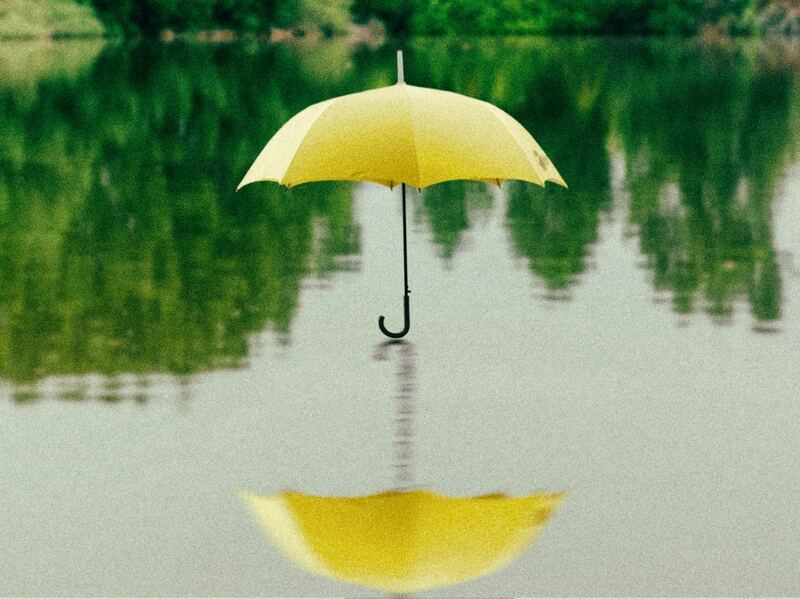 Experiment with colours, copy and icons to create a campaign that really pops. A time-bound campaign like the holiday weekend is a good time to give a little nudge with your wording - some of the most successful phrases include: "Exclusive to booking direct," "Offer available ONLY when booking direct," "Offer only available on Black Friday!" If you've set up a promo code with your booking engine, make sure to set the redirect link to your booking engine with the promo code already embedded - or make the code clear to guests in the message itself. Once your campaign is customised and looking fresh, it's time to set it live! Hit Start your campaign to set it free into the world... and wait for those direct bookings to come rolling in.